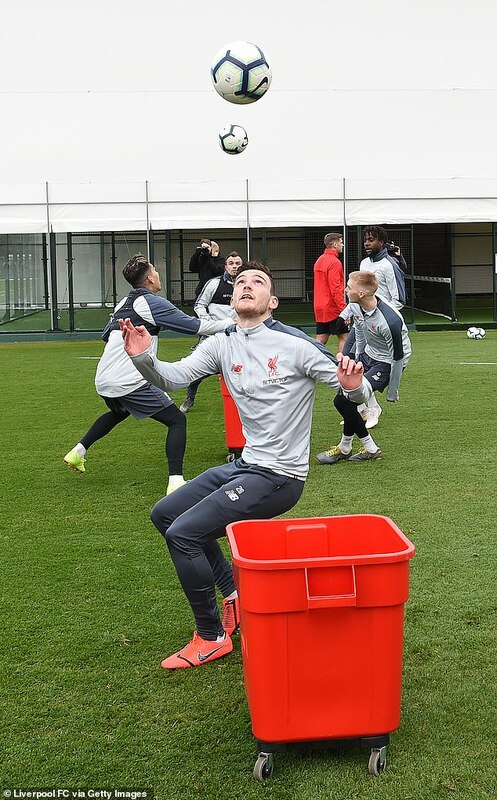 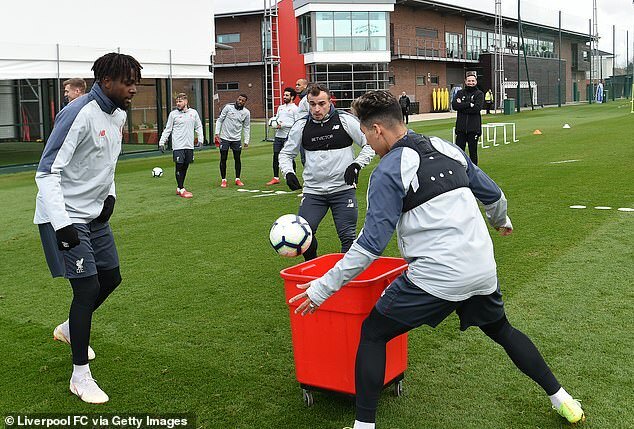 Liverpool stars looked to be enjoying themselves in training on Friday as they worked on their aerial ability by attempting to head balls into a bucket. 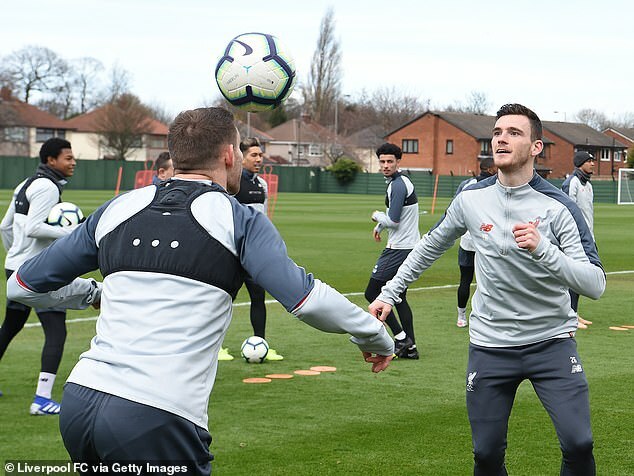 Jurgen Klopp's side benefited from two headed goals in their Champions League win over Bayern Munich on Wednesday night and displayed just where their aerial prowess has come from. 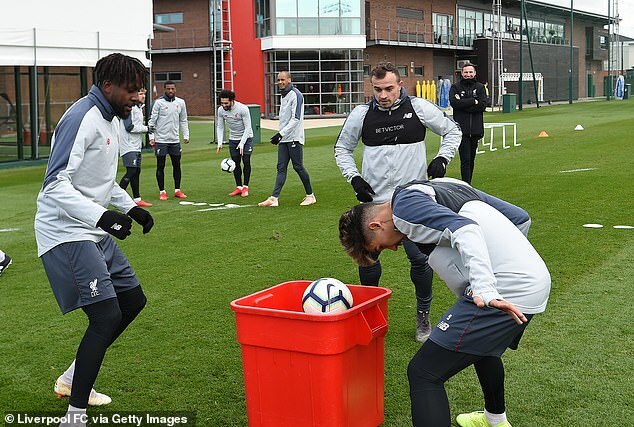 During one exercise in their latest session, the Reds were snapped juggling the ball in the air before having to knock it down into a red bucket positioned on the turf.